Haitian slaves revolt against the French colonialist in 1791. 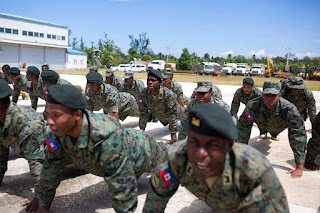 The former slaves eventually gain control of Haiti and manage to fight off numerous French armies seeking to retake Haiti and put the Haitian people back into slavery. 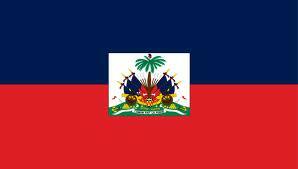 Haiti becomes an independent nation in 1804. The U.S. finally recognizes Haiti as an independent nation in 1862. 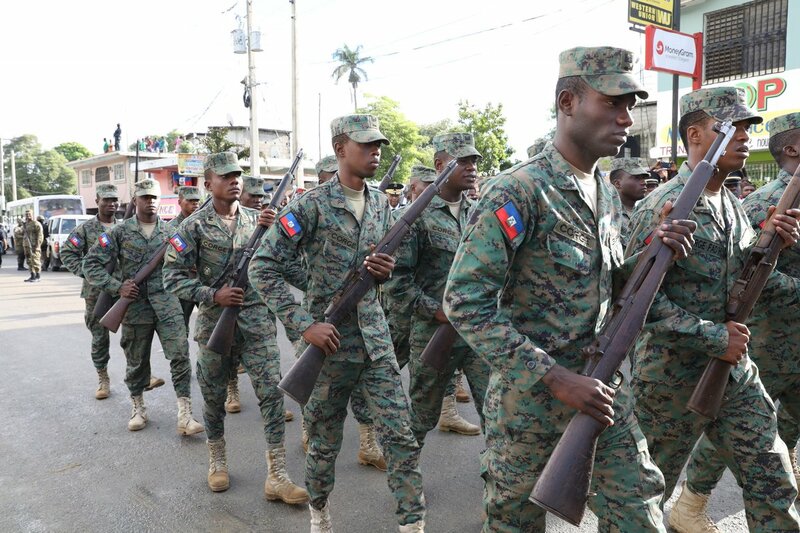 In 1914, U.S. president Woodrow Wilson took control of the Haitian National Bank by sending U.S. marines in who removed $500,000 of the banks reserves to New York. 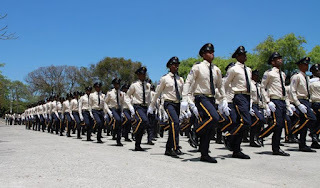 In 1915 the U.S. invades Haiti to protect U.S. assets in the nation and supposedly end any German influence in the area. From 1888 through 1915, no Haitian president completed his seven year term. Ten of them were either killed or overthrown. Woodrow Wilson tried to make the new Haitian legislature adopt a constitution that would allow foreign land ownership. The Haitian legislature refused, so in 1917 the Haitian legislature was ordered to dissolve. U.S. forces leave Haiti in 1934. The old Haitian flag during the Duvalier reign was black and red, powerful colors in Voodoo. 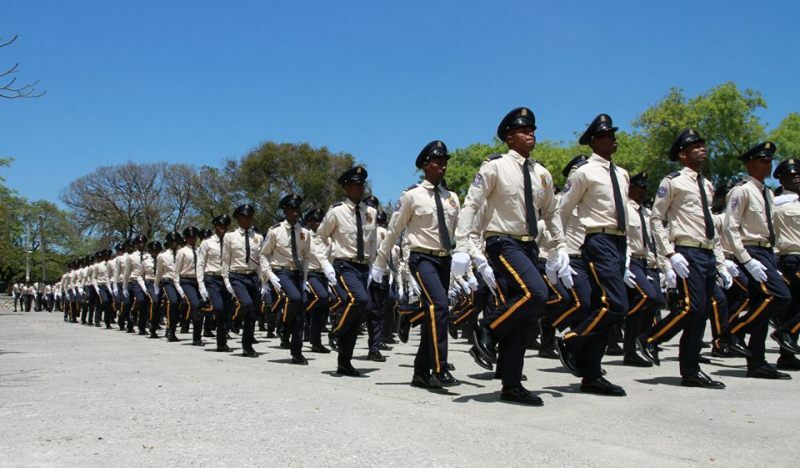 The Milice de Voluntaires de la Securite Nationale (MSVN) were nicknamed the “Tonton Macoutes”. Tonton Macoute is a fictional “bogey man” like character in Haiti. “Ton Ton” is like saying “uncle” and a Macoute is a gunnysack. Uncle Gunnysack. Tonton Macoute was said to kidnap unruly children and place them in his gunnysack to be carried off and eaten later. The MSVN usually wore blue uniforms. 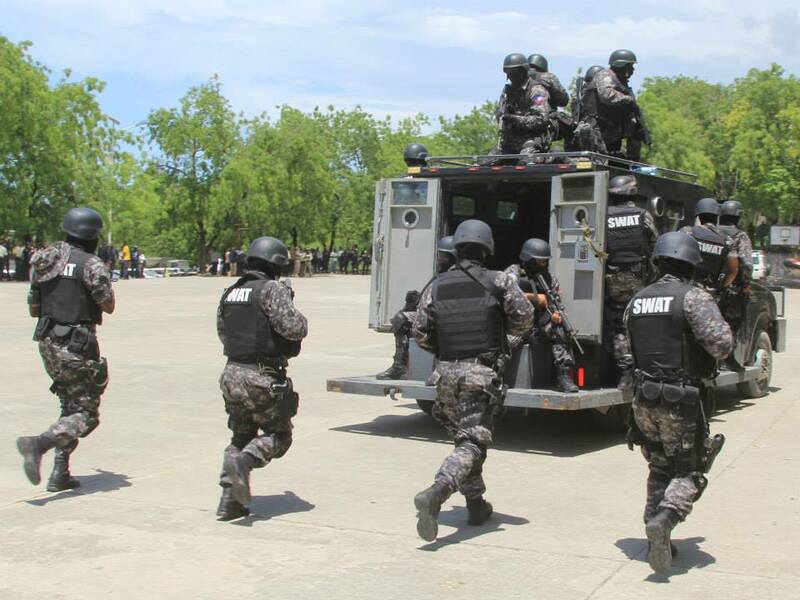 Nicknamed attaches because many of them carried weapons in attache cases. After decades of dictatorships and coups, Jean Bertrand Aristide was elected president of Haiti by popular vote in 1990. In 1991, Aristide is ousted by a military regime that took control of the government. The 1991 coup in Haiti was orchestrated by Emmanuel Constant, a man admittedly on the CIA payroll. Supposedly on the CIA payroll as of 1992. 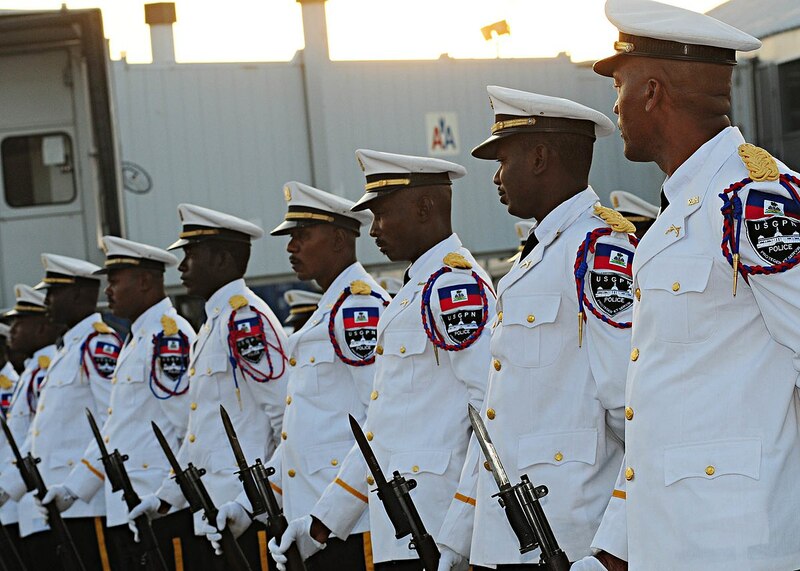 Front for the Advancement and Progress of Haiti. A right wing paramilitary group established by Emmanuel Constant to counter Aristide supporters and leftists. Some FRAPH members were found to have been working for the U.S. Agency for International Development (USAID). USAID was found to have maintained files on Haitian social justice movements. The U.S. base in Guantanamo Bay, Cuba was used it to hold and “process” Haitian refugees being sent back to Haiti. In the 1980's and 1990's, the U.S. allowed hundreds of Cuban refugees to come to the United States by boats, rafts, etc., yet at the same time they sent hundreds of Haitian refugees back to Haiti and used the Guantanamo Bay base to “process” them. AIDS and other diseases spread into Haiti at the same time. 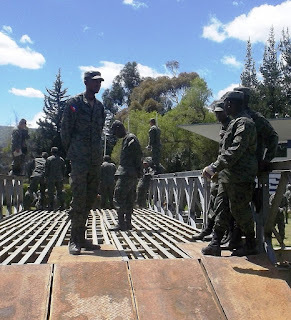 Lebanese mercenaries, nicknamed “Black Ninjas” by the Haitians because of their black military uniforms and black masks, were hired by the government of Haiti. The mercenaries would end up negotiating their surrender without a fight. Jean Bertrand Aristide was returned to power and a constitutional government was restored in 1994. Aristide was re-elected in 2000. After a rebellion in 2004, Aristide was exiled and flown to Africa aboard a U.S. plane. 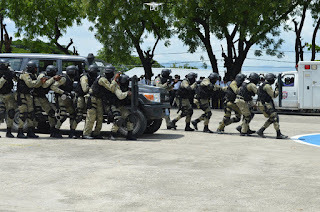 A United Nations led mission took over in Haiti after Aristides exile. Mission des Nations Unies pour la Stabilisation en Haiti (MINUSTAH)- United Nations Stabilization Mission in Haiti. 04 JUL 2003- An american "missionary" in Haiti was convicted of illegally importing weapons. James Glenn White. Runs "Sharing the Vision" mission in Haiti. 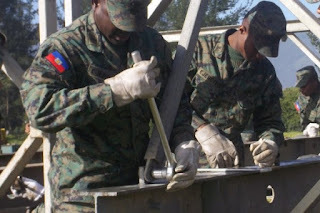 2010- Major earthquake in Haiti kills around 220,000 people. 2010- U.S. citizens caught trying to illegally smuggle Haitian children out of the country. Lied to the government of Haiti and to the parents of the Haitian children. 15 NOV 2010 -Suspicious outbreak of Cholera three weeks after the earthquake, kills around 1,000 people. 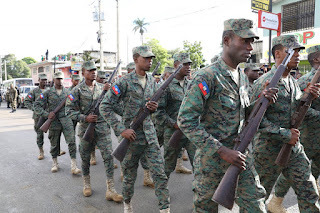 02 OCT 2011- The new president of Haiti, Michel Martelly, suggests the creation of a new military force in Haiti, however, there is political opposition to this suggestion in Haiti. Haiti had no official military since the 1994 US invasion. Only police forces. 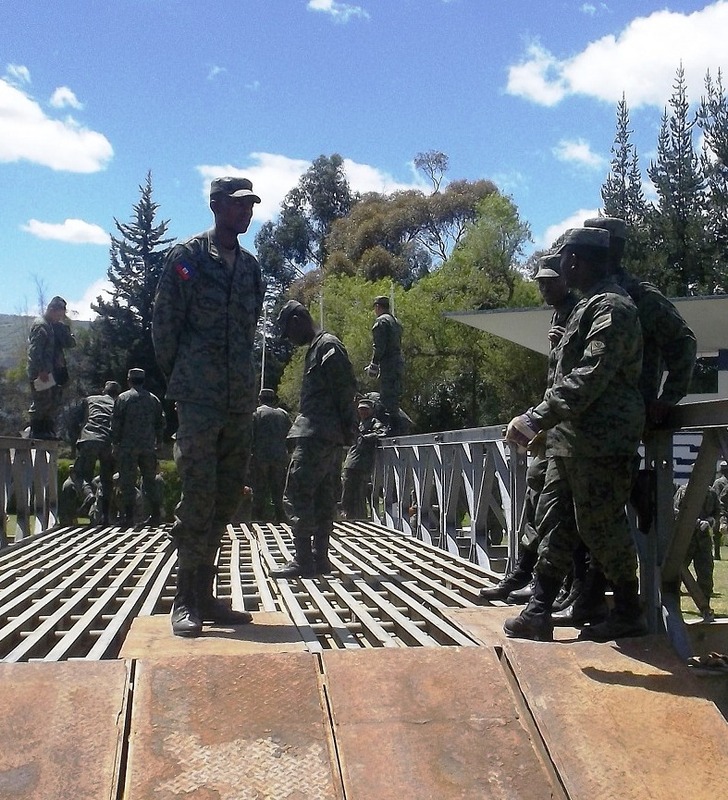 The initial small unit of engineers was trained in Ecuador.